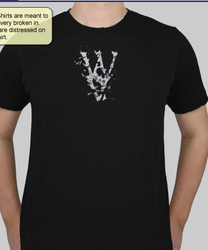 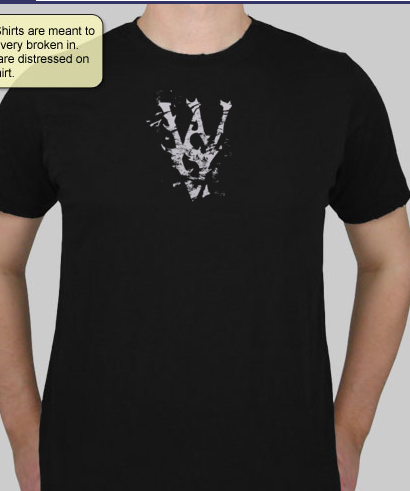 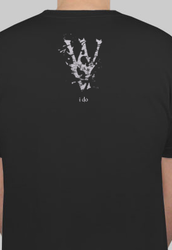 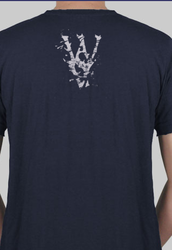 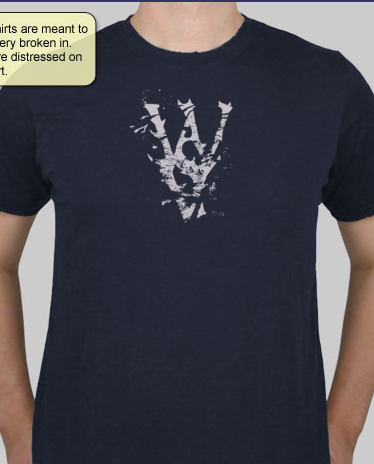 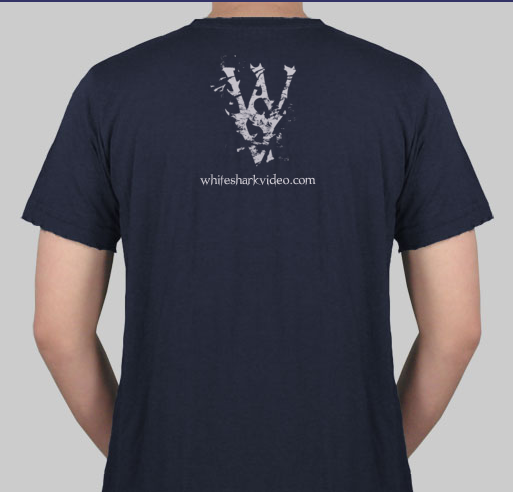 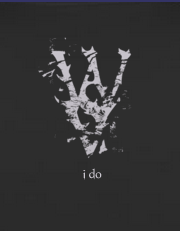 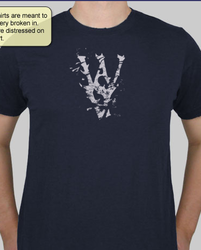 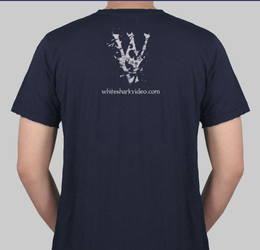 Design 2: WSV on front. 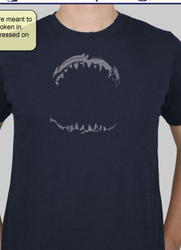 Old jaws on back. 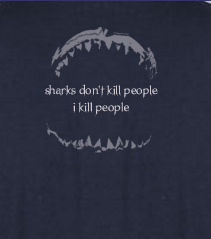 Text says, Sharks don't kill people... 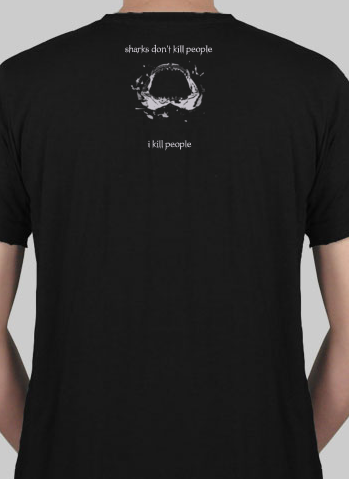 I kill people. 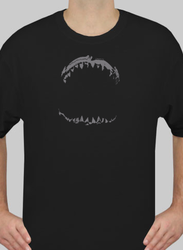 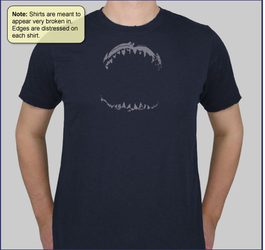 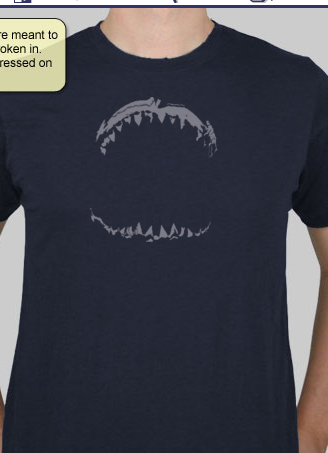 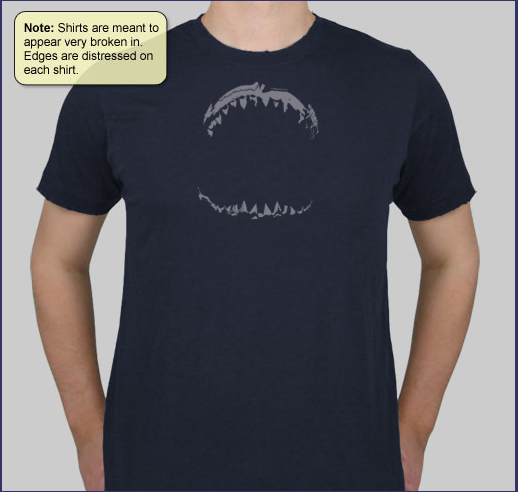 Design 3: New jaws on front. 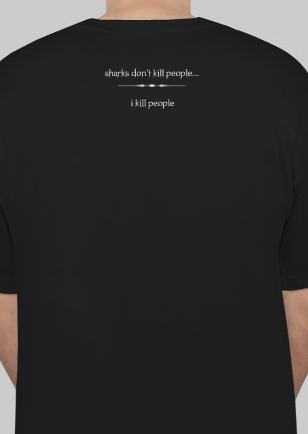 Text on back reads "Sharks don't kill people...I kill people" separated by a line. 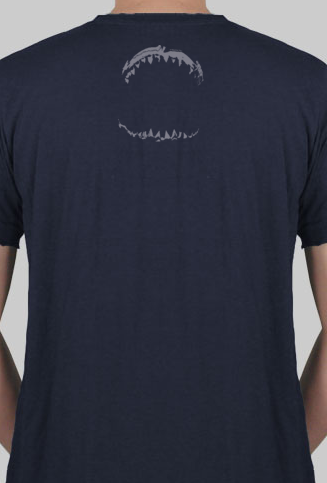 Design 4: No text. 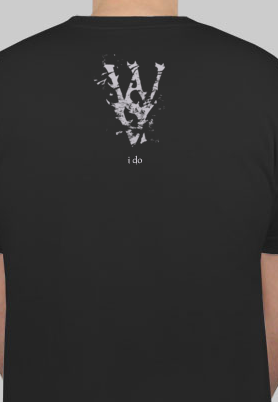 Just designs. 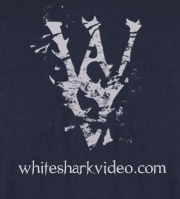 WSV in front, Jaws in back. 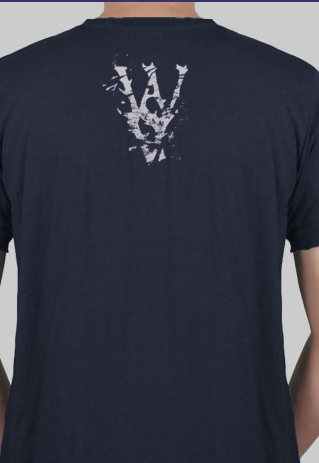 Design 5: No text. 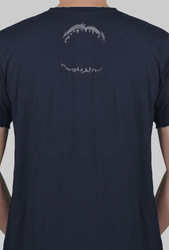 Just designs, but flipped. 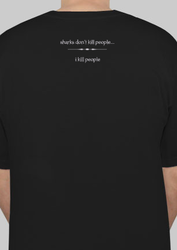 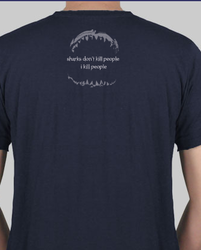 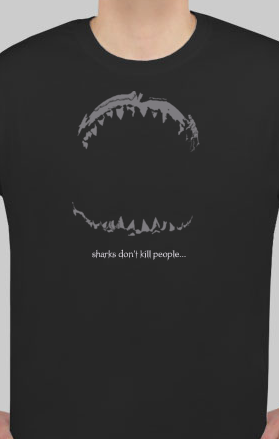 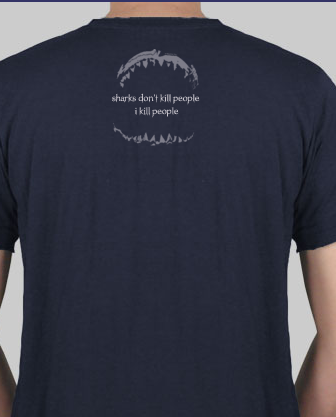 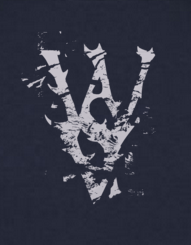 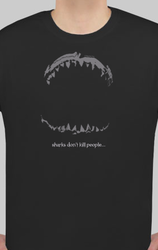 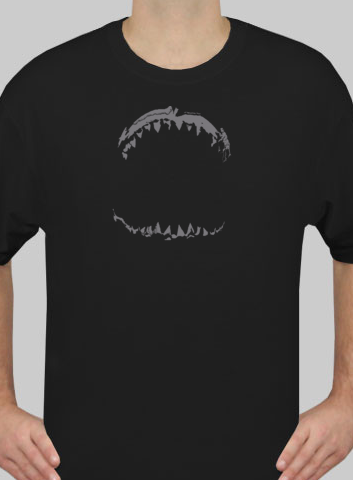 Design 6: Jaws in front with text under reading, "Sharks don't kill people..."
Back has the WSV design with the text under it reading "I do"
Design 7: WSV on the front. 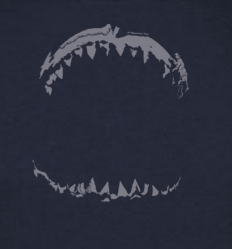 Jaws on back. 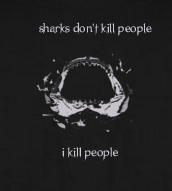 Text is contained within the jaws reading "Sharks don't kill people... 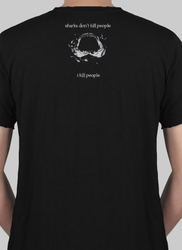 I kill people"